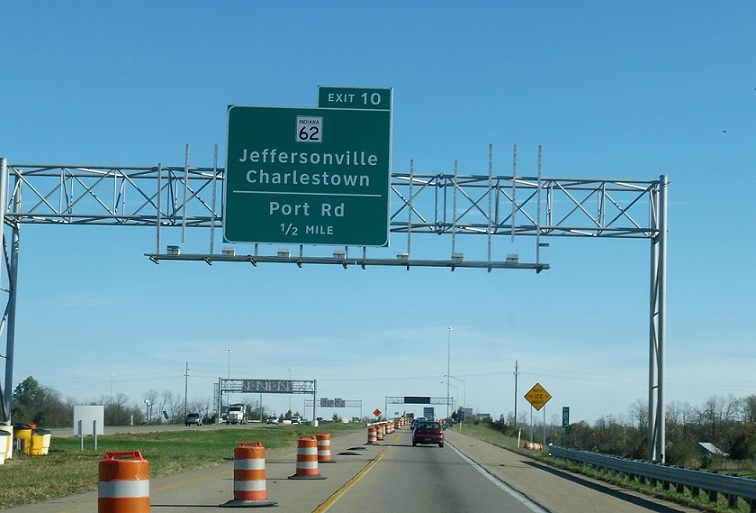 Just after the I-65 junction, we’ll cross over US-31 without interchange. 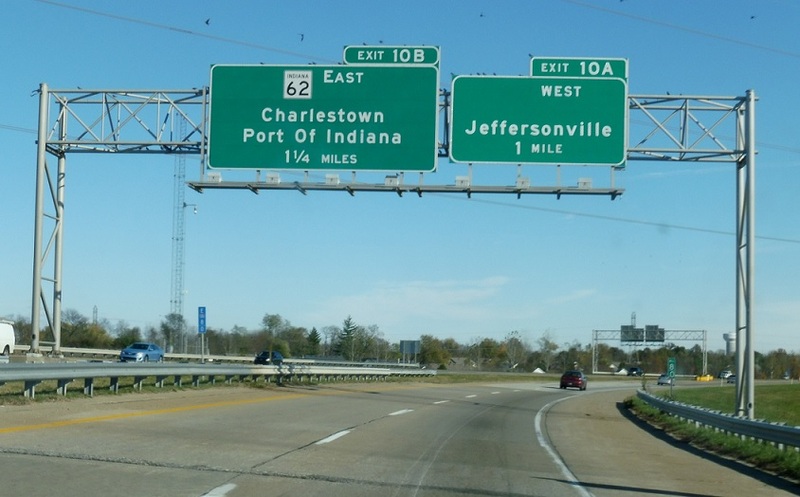 Reassurance shield after the I-65 junction as Indiana 265 begins, carrying Indiana 62 with it. 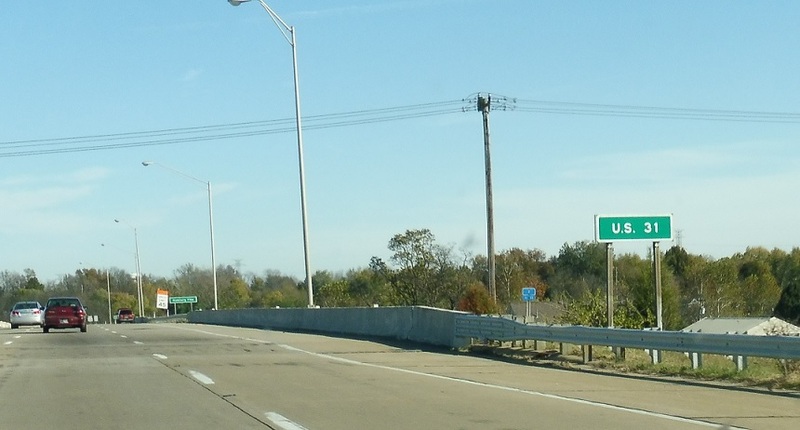 In 1.25 miles, we’ll approach the SR 62 split, which is the first exit off 265. 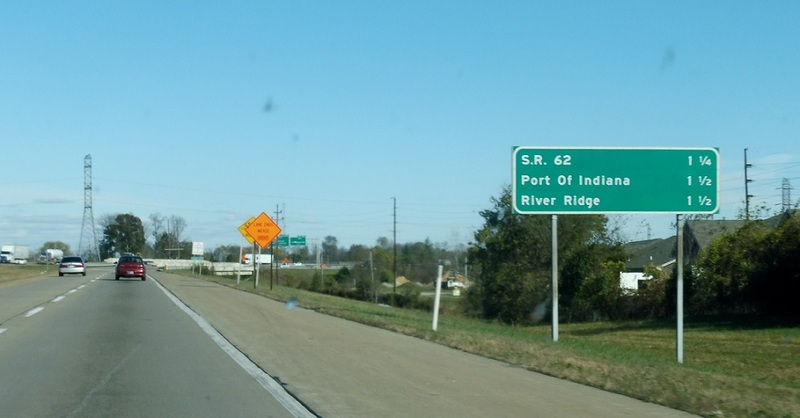 1.25 miles to the SR 62 east split. 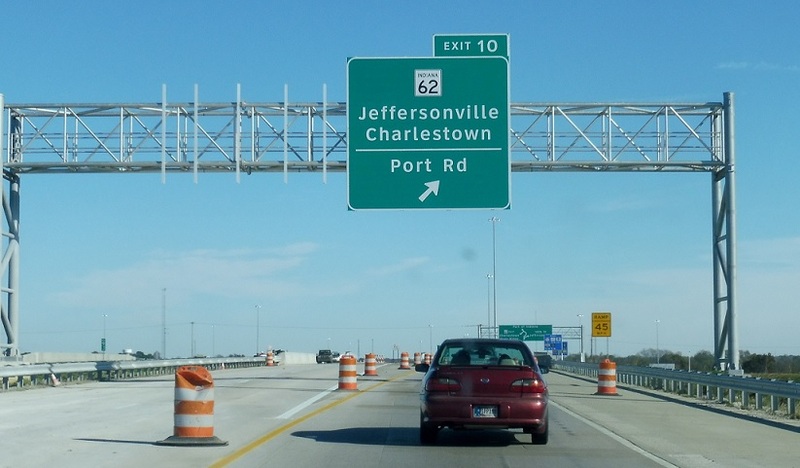 SR 62 west once headed into downtown Jeffersonville, before it was re-routed onto the beltway. 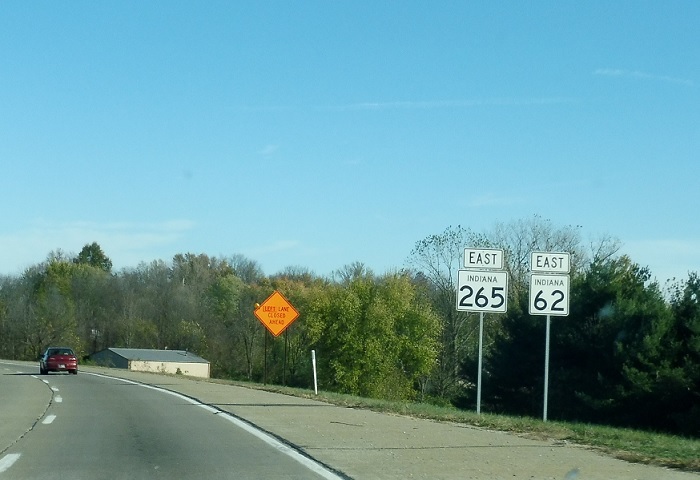 SR 265 used to end right at SR 64 – this photo was taken in November 2016, just before the new Ohio River bridge opened. 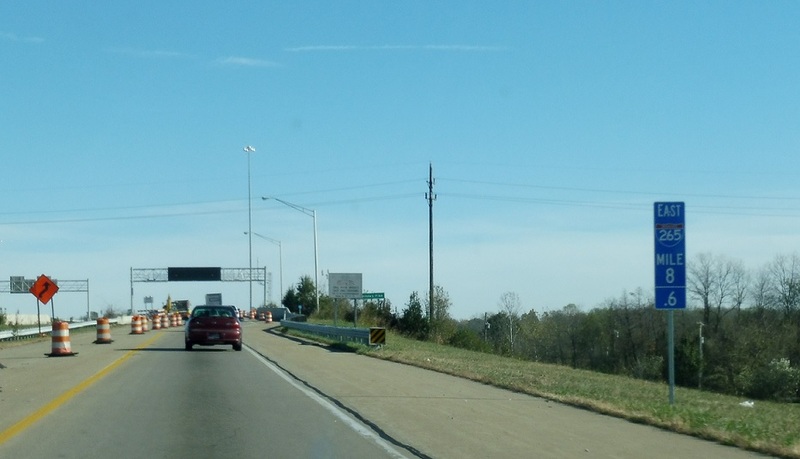 The highway now continues all the way to the Kentucky line. 1/2 mile to the SR 62 exit. 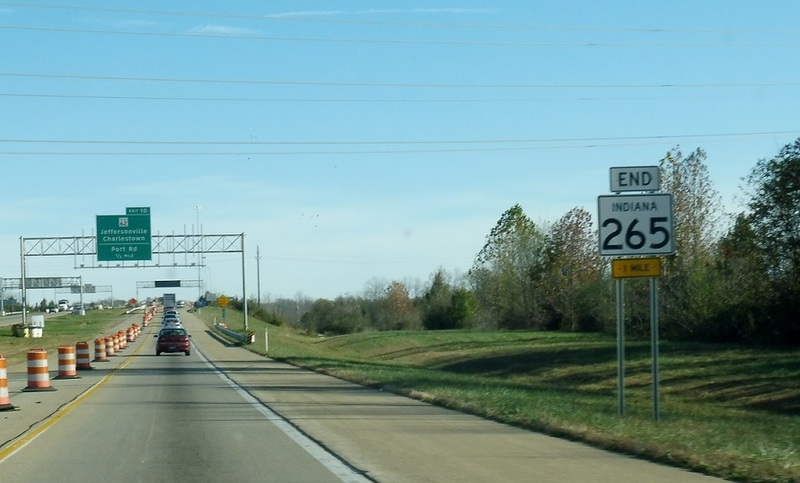 265 does have milemarkers ready to go for the future I-265 changeover.